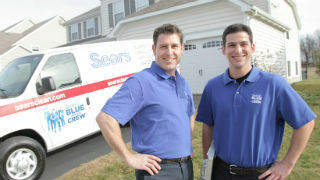 Whether you want to revive tile and grout that are dirty and discolored or want to protect new or newly cleaned tile and grout from that fate, Sears has the right tile and grout cleaning service for you. Getting nowhere scrubbing grout with a toothbrush and kitchen cleanser? 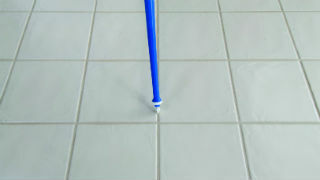 Sears has a far more powerful cleaning system specifically for grout and tile. Using heat, cleaning agents, a high-pressure rinse and a truck- mounted extraction vacuum, we can remove dirt that clings to the tiny irregularities in the surface of the tile and grout. Protect new or newly cleaned grout from stains and dirt with our grout sealing service. We seal new or professionally cleaned grout with a clear sealant that protects grout from dirt and stains. Sealed grout can go longer between professional cleanings. Don’t replace your grout—have Sears re-color it! Changing the color of your grout is an inexpensive way to update the look of a room; it can also hide stains that can’t be removed. We have 12 standard shades and can also special-order custom shades. Out grout coloring service includes grout sealing, so the color lasts longer. 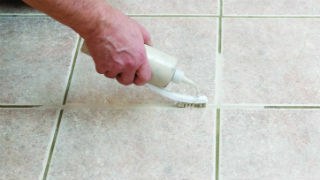 Once clean, clear sealant can protect the look of your grout and is easier to maintain between professional cleanings. When grout stains are too embedded, re-coloring can renew the look of your tile surfaces, and also seals your grout for easy maintenance.